Jesus defended a woman who broke open a jar of costly ointment at Bethany by saying, "She has performed a good service for me. For you always have the poor with you, and you can show kindness to them whenever you wish." (Mark 14: 6-7, NRSV) He was not inviting his disciples to ignore the poor but reminding them that there is always opportunity to be in ministry with the poor. From the commands of Jesus, through the admonitions and practices of John Wesley, to the work of faithful followers of Jesus in every age, ministry with the poor has a heritage that spans the entire history of the Judeo-Christian practice. It is one of the four areas of ministry focus for United Methodists and the theme for Heritage Sunday, May 22. 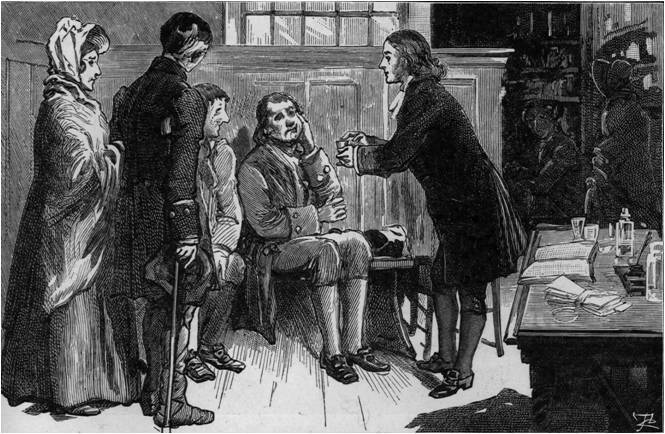 Out of the Foundery in London, Wesley organized a number of ministries to serve the poor. He charged the Methodists not to wait for the poor to come to them, rather they were to seek out the poor. Wesley longed for a church that exhibited "charity in all forms". He led his coworkers to beg for funds for the poor, provide soup kitchens, collect clothing and blankets, gather coal for heating, set up medical clinics, form literacy classes, open lending libraries, visit prisoners and their families, tutor children, organize Sunday schools, set up employment services, provide loan funds and establish homes for orphans, unwed mothers and the aged. Leading Methodist figures in the late 19th century in the United States include William Carwardine who supported labor in the Pullman Car Strike and Mary McDowell who was an early social worker and pioneer in the Urban Settlement House Movement, both in Chicago. S. Parks Cadman modeled an open church as he brought social work inside his church building in New York. Edgar J. Helms started Goodwill Industries in Boston in 1902. William Bell promoted the social gospel in the United Brethren Church. Deaconesses served (and still serve) both the rural and urban poor. In contrast to an emphasis on serving the poor, new church buildings in the late 19th century were becoming ever grander in their architecture and furnishings. As congregations became richer, identification with and ministry with the poor eroded. Experiencing the same phenomenon in England a century earlier, John Wesley, in his sermon of 1789 entitled "Causes of the Inefficacy of Christianity," wrote, "See that poor member of Christ pinched with hunger, shivering with cold, half naked! Meantime you have plenty of this world's goods, of meat, drink, and apparel...Why do you not deal your bread to the hungry? ...The Methodists grow more and more self-indulgent, because they grow rich." Ministry with the poor is a legitimate child of the Methodist, Evangelical and United Brethren past. We claim the faithful witness of those in prior generations to inform and inspire present and future generations. The Rev. Robert J. Williams is general secretary, General Commission on Archives and History, and an elder in the Greater New Jersey Conference.